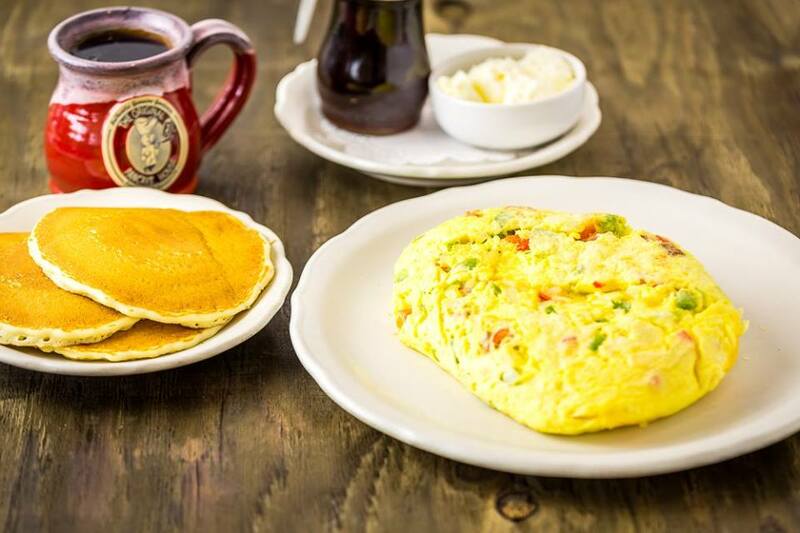 All of our omelettes are oven baked and served with three buttermilk pancakes or toast. Available in egg whites, add $1.35, Add fresh avocado to any omelettes for just $1.95. Sauteed onions, mushrooms, tomatoes, green peppers, and broccoli, filled with Tillamook cheddar, Swiss, or Monterrey pepperjack cheese. Sun-dried tomatoes, fresh basil, and feta cheese. Our fluffy omelette filled with fresh bacon bits and cheese. Filled with diced honey maple ham and Tillamook cheddar cheese. Filled with ground sausage and cheddar, Swiss, or pepperjack cheese. Sauteed onions, red and green bell peppers, honey maple ham, and Tillamook cheddar cheese. 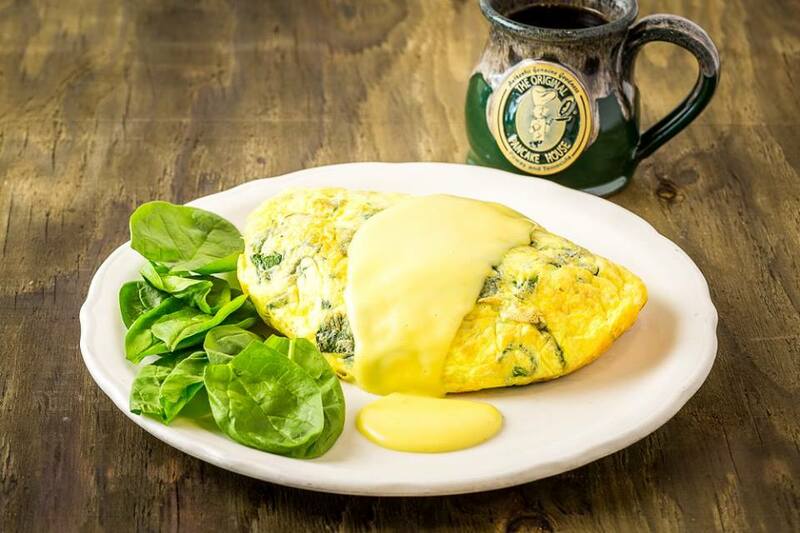 Fresh spinach, filled with your choice of cheese and topped with hollandaise sauce. Sauteed onions, black pepper, and bacon in our famous fluffy omelette with a hint of garlic and filled with Swiss cheese. Diced green chile peppers and Monterrey pepperjack cheese. Our famous fluffy omelette stuffed with freshly ground corned beef hash (with onions) and cheese.